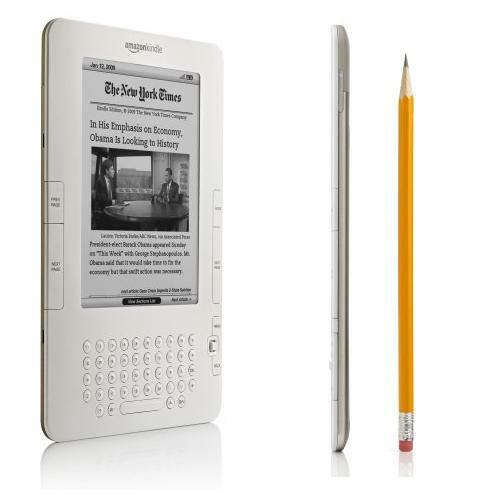 • A Vizplex E-Ink six-inch screen. 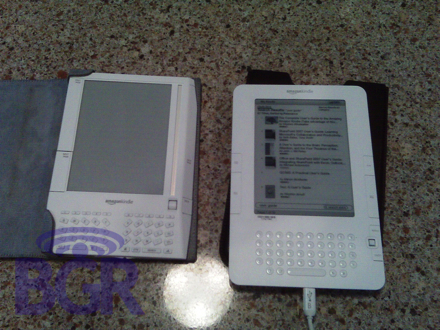 The Vizplex features better screen contrast than E-Ink technology that is old and possibly outdated. •	A total weight of 6.13oz. 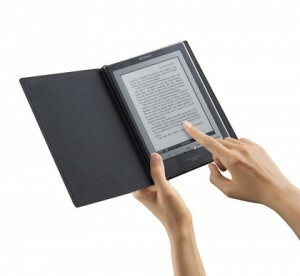 In fact, Sony’s new Reader PRS-505 weighs three ounces more. 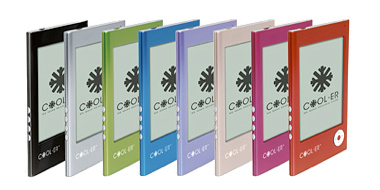 •	8,000 page flip battery life between needed changes. •	eNews and RSS feed reading capability. 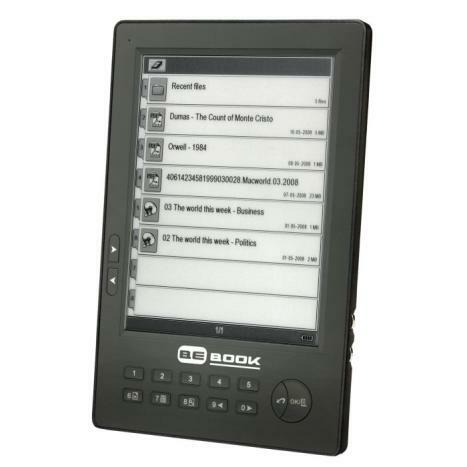 This device is quite capable of storing files which are supported by such formats as TXT, HTML, PalmDoc, PDF, and is able to download and store 1,000 Mobipocket supported eBooks. Using this encrypted scheme provides Cybook users access to volumes of copyrighted eBooks, one of the worlds largest catalogues indeed. 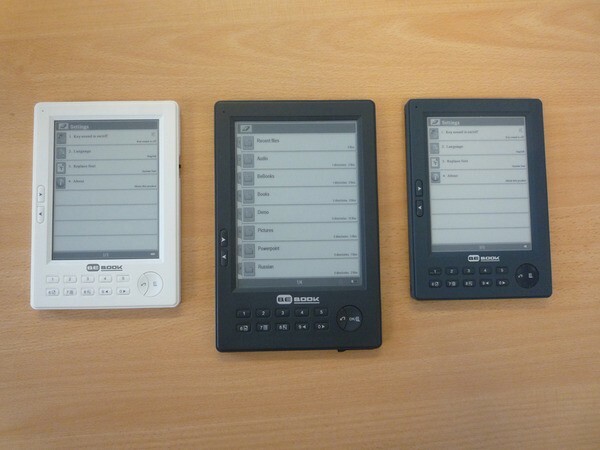 Due to their Electronic Ink Displays, Cybooks have a quite impressive battery life cycle which lasts around 2 months under average conditions. And the Cybooks highly responsive and advanced user interface will allow you to perform a whole host of possible actions, all of which take less than a second to accomplish with the use of one navigation key and two buttons on the Cybooks front side. 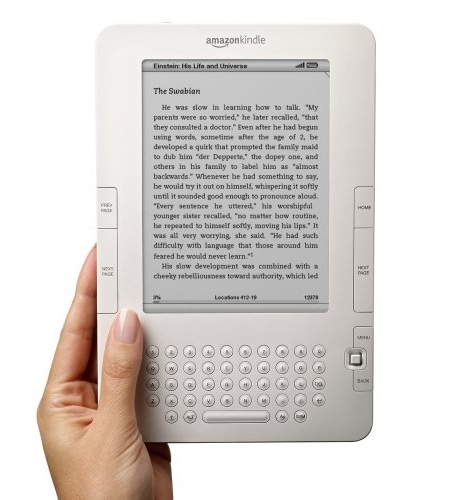 This is a real player in this ebook race, and one which is made future proof with a range of innovative features not found elsewhere. 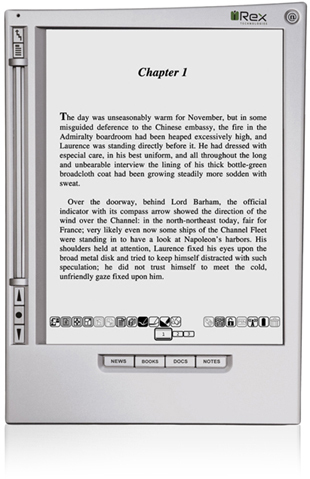 How delightful would it be to have the capability to read your most favourite books-with the whole lot digitally stored on a compact device? 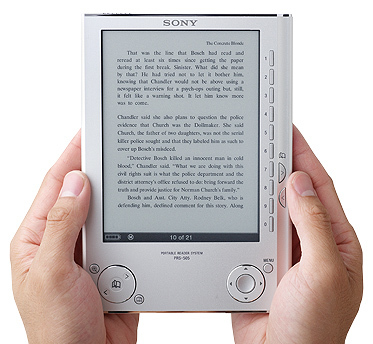 The Sony PRS-505/SC Reader Digital Book, a redesigned and slimmer model, allows you to tote what was once a stack of books with one hand. 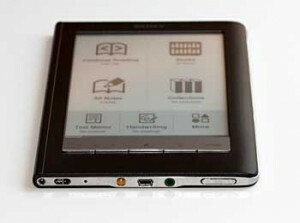 This sony ebook reader can hold roughly 160 eBooks whilst optional memory cards can store hundreds more. 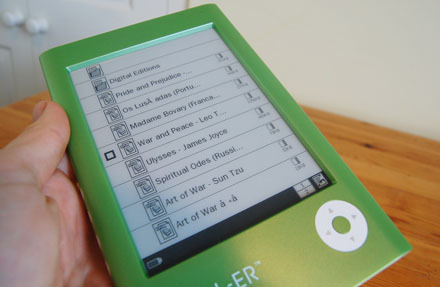 And thanks to its portable size that is about 1/3 of an inch thick and 9oz in weight, you are able to read through a vast library of books wherever and whenever you like. 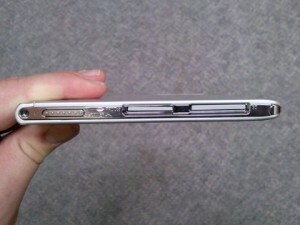 And as for battery life, it can support around 7500 continual page turns before needing to be changed. 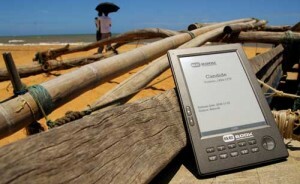 Boasting cutting edge technology such as an amazing 6-inch display and e-Ink that is so paper like in its appearance that reading your books is enjoyable and easily accomplished even in the sunshine. 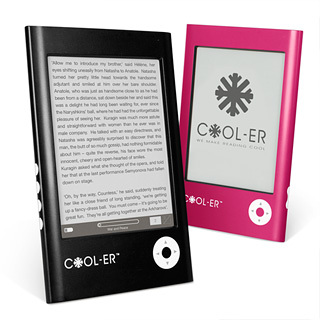 It has a significant amount of internal memory and a slot where you can add or remove memory cards, making it perfect to take documents, Web content, etc., and read them while you are on the go. 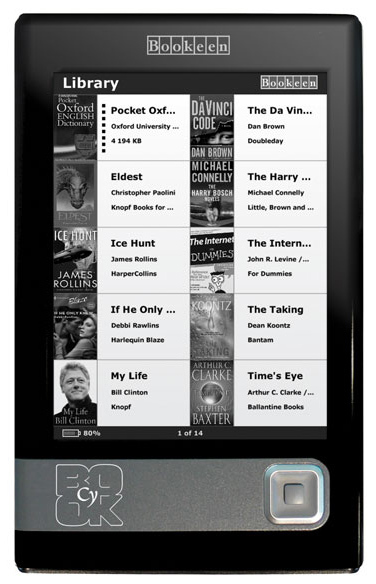 And thanks to its Integrated eBook Store, the Sony PRS-505 eBook reader let’s you browse, discover, search and even purchase thousands of popular, new and classic eBook titles. It is possible to visit other sites which offer unsecured eBook titles in Reader supported file formats, translating to vast amounts of suitable content to use in concert with your Reader. 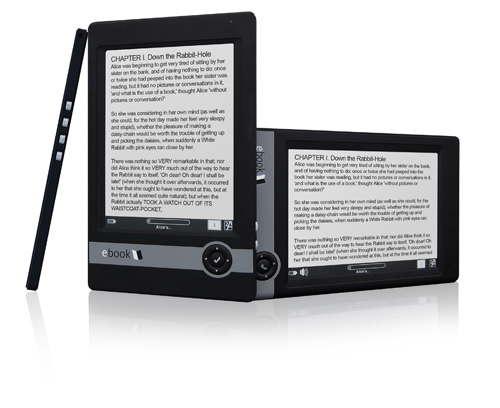 And even though this device is called the Sony PRS-505/SC Digital eBook reader doesn’t mean it can you can only read eBooks with it. In fact, using the Library 2.0 PC Software include with it gives you the ability to transfer Microsoft Word documents, PDF documents, BBeB Book as well as other text files right to your Reader, which provides you with the ability to view and access multiple files any time you like. Recommended, get yours from Waterstones UK now and save £££.